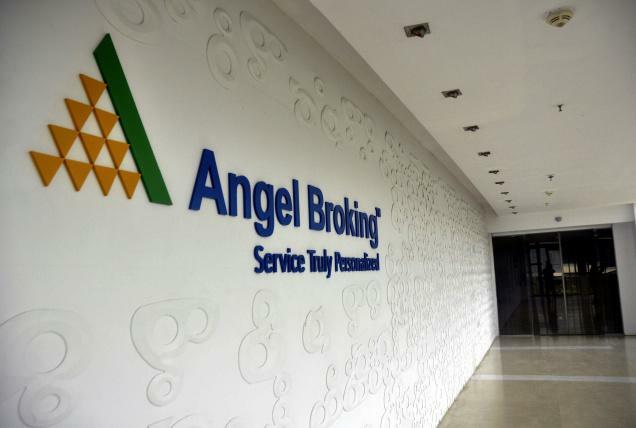 Angel Broking Franchise is one of the largest networks of stockbroking businesses in India. One of the best parts of this business is that Angel Broking carries huge brand equity and recall that it becomes relatively much easier to acquire new trading clients. Furthermore, Angel Broking franchise business is one of those rare ones in the stockbroking space that requires a very low initial deposit or security amount. Their operations team can set you running within 2-3 business days. In this detailed review, we will be talking about the specific business models the broker has to offer along with the related brokerage sharing methods, eligibility criteria and other information pieces. A business mapped under a full-service stockbroker can certainly assist you in running an enterprise on your own with very low capital requirements. This business model can be of any form, be it sub-broker, franchise, master-franchise, Authorized Personnel (AP) etc. Angel Broking is one of the top names in the sub-broker, franchise business model in the Indian Stockbroking space. It enjoys more than 11,500 branches across different parts of India and the second best stockbroker has less than 5000 branches. So, you can see the difference as far as offline coverage of Angel Broking is concerned. Regular research reports, tips and recommendations so that those can be further shared with clients. High-performance trading platforms across devices, be it mobile, web or desktop. A Sub-broker must be registered under SEBI (Securities Exchange Board of India) and must be affiliated to a recognized stock exchange such as NSE (National Stock Exchange), BSE (Bombay Stock Exchange) etc. Once you get registered as a sub-broker under Angel Broking, you will need to run your business as is, acquire new clients your area and serve them through the propositions provided by Angel Broking. The corresponding brokerage generated through the trades of clients will have a specific share mapped to you. A Master franchise of Angel Broking will be provided exclusive rights of running broking business for the full-service stockbroker in that region. That is, no other business will be able to represent Angel Broking directly or indirectly in that area. All sub-brokers operating in that region will be mapped under your master franchise. In other words, you will be taking care of the complete geographic territory and there will be no competition and no distractions. You will be able to focus on your business growth at an organic level. In fact, you also get the right to set-up sub-broker businesses in your region through your network with no interference from the corporate team. You can recruit people looking for such opportunities in your region. Once you set up Angel Broking Master Franchise, you will operate as a direct Angel Broking Branch in that territory. Obviously, this increases your cohort of responsibilities since you will need to ensure that the sub-brokers mapped under you generate sizable revenue on a regular basis. At the same time, you will be provided with complete ownership and access to all the financial products that are offered by Angel Broking as a stockbroker to its clients. Different business models have their own set of eligibility criteria and you need to figure out your own business need and based on that, clear the set criteria. You need to have 2 to 3 years of experience in the Indian stockbroking business, either as a broker, sub-broker, Remisier, Mutual fund distributor or a client. Basic level of stock market trading and investment needed. This includes the understanding of jargons, account opening process, trading in the stock market, different types of order placements etc. Although, more of trading education will be provided by the Angel Broking sub-broker onboarding team later. You must be registered with SEBI. You will be required to have a robust client network reach around your location and capacity to set up infrastructure that matches a branch level experience for the potential clients. Furthermore, to enter into the stockbroking space, you need to have a general level understanding and knowledge about trading and investing in the share market. Education requirement of 10+2 and minimum age limit of 21 years. You must have a past track record in terms of background, criminal records, pending cases etc. This check is done by most of the stockbrokers before they onboard someone into their business. Invest ₹50k to ₹2 Lakh as capital expenditure and consistent operational expensive to run the business. Furthermore, the capital invested is refundable in nature. have the capacity to rent or buy a minimum of 200 square feet of office space preferably in a prime location of your city/town. set up high-speed Broadband connectivity in order to run smooth business operations, most of which are online in nature. The remisier business model does not require that high an upfront cost, however, the scale of the business is limited too (as compared to the Angel Broking franchise business model). Apart from that, you may choose to incur expenses in order to make it look and feel better for the visiting (potential) clients. When you work under the brand of a broking business, you are provided with a specific percentage share of the brokerage generated by you through your client base. This share payout is done on a monthly basis. The percentage shared is generally at a standard level when you start your business. However, the percentage sharing is something that can be negotiated based on the kind of business traction you bring and value you add to the broking business brand. The broker offers different offers to its sub-brokers and franchise partners on a time to time basis. They also do an offsite on a yearly basis with 100 top partners across the country. Generally, this offsite happens outside India for a few days. These offers are generally run on a time to time basis and as of now are currently active. Feel free to get a callback (as mentioned below). Angel Broking Franchise – How to Open? Once you provide your details in the form above, a callback will be arranged for you. You will be asked a few basic questions about the business and related details. In case there is a mismatch in the name in any of the documentation, you need to get a name affidavit on a ₹10 stamp paper. Make sure all the documents above are attested by a Chartered Accountant or Notary office. Once the documentation formalities are complete, you need to deposit the cheque along with the registration amount (as mentioned in the Sub-broker fees section). Post the amount transfer, a business tag against your account will be generated and you can start your sub-broking business under the brand of Angel Broking. You and your staff will be subsequently provided training and education on trading platforms, customer support, marketing mechanisms and so on in order to ensure smooth functioning of your sub-broking business. Within the marketing support part, you will be provided assistance in Marketing Collaterals, Market research reports, Events, Seminars, Newsletters etc. Being one of the top stockbrokers in India, Angel Broking offers decent leverage, high-performance trading platforms, research and recommendations to its clients. With the kind of values, it provides to its clients – client acquisition becomes relatively easier. Angel Broking has been awarded BSE Major Volume Driver stockbroker consistently from 2004 to 2014, Top 5 Retail Broking houses and Largest Sub-broker Network award by D&B. If you go for the Franchise mode, you are allowed extra exposure in trades which easily works as an added advantage for you, especially while you are catering to high-frequency traders. The full-service stockbroker is known to run different marketing campaigns across channels such as TV, Social Media, Print media etc. 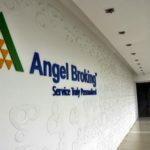 At the same time, there are several trading platforms the broker offers to its clients including Angel Broking Mobile App, Speed Pro, Angel Trade to go along with its robo-advisory recommendations engine Angel Broking ARQ. The deposit security you paid upfront in order to align your business under Angel Broking is completely refundable in nature. Furthermore, revenue sharing percentage has a lot to do with the kind of value you add to the business of this full-service stockbroker. Like other mainstream businesses, Angel Broking sets up a yearly offsite program as well where top performing franchisees and sub-brokers from around the country are invited and rewarded. If you choose a become a master franchise of Angel Broking, then you get double benefits of acquiring new clients. You get leverage not only the clients you acquire directly but also the clients of the sub-brokers mapped under you. With this advantage in place, the scale of your business gets a bigger potential of quick growth. Angel Broking through different marketing channels runs different promotions on a timely basis. Such offers include 20% brokerage discount on online trading, Free Account opening for a high initial deposit, Amazon Vouchers for Account opening etc. You as a sub-broker or Franchise business can offer these discounts to potential clients as well. Angel Broking puts no limit on the scale of business and the corresponding client base you can set up in and around your area through your branch office. In case you opt for the franchise model, you get some additional benefits such as exclusive business rights in your area. With this, there will be no competition from any other business of Angel Broking around your location. Your clients can activate their trading account within 5 minutes since the whole process is online in nature. Revenue sharing percentage can change depending on your business performance. It can even be in the range of 80%. Regular off-sites with the management team for top performers. These off-sites are mostly foreign tours. So before we wrap up this detailed review on Angel Broking franchise, this needs to be understood that the broker has a huge reliance on its offline business. This model comes in three different formats namely franchise, sub-brokers and remisier partners. Angel Broking has done fair management of all these models in terms of the benefits it has to offer, the upfront cost, the revenue sharing model and the corresponding benefits it provides to its potential partners. Simply said, if you are seriously looking towards a sub-broker or a franchise business, Angel Broking could be one of the top contenders that you can potentially work with by simply looking at the scale and focus the broker has put in. In case you are looking to open a sub-broker or master franchise business through Angel Broking, then let us arrange a callback for you. What are the different partnership models Angel Broking provides to its potential partners? This full-service stockbroker offers 3 different partnership models including sub-broker or franchise model, master franchise partnership and remisier model. All three models have their own sets of pros and cons. Where remisier model requires the least amount of effort, the corresponding revenue sharing and other related benefits are limited too. At the same time, the Angel broking franchise model requires you to set-up business operations and the master franchise goes even higher in terms of the responsibilities where you are required to manage sub-brokers in your area. Quite obviously, the monetary and other benefits are much larger in these business models comparatively. What is the cost of Angel Broking franchise? The cost of a franchise basically depends on your region and can be negotiated. However, there is a specific range that can be known. For a franchise model, the upfront cost will be somewhere between ₹50k to 2 Lakh. Master franchise cost may even touch a sum of ₹3 Lakh. Is Angel Broking trustable since I am going to invest a reasonable amount upfront? This broker has been around in the stockbroking industry for more than 3 decades and has placed itself among the top 7 stockbrokers in the country. Furthermore, with a huge network of offline businesses, it can be seen as one of the most trustable stockbrokers in the country. How much revenue sharing can I expect from Angel Broking? Again, revenue sharing depends on the business model you are working on with this broker. Remisier business model can fetch you a 30% commission while a master franchise can take this number in excess of 80 to 85%. What support will I get once I become a partner with Angel Broking? The broker has done a fairly good job in technology and research aspects among its peers. As per the claims of Angel Broking, once you become a partner in any form, they provide you with regular training, regular tips and recommendations on the stock market, brochures, newsletters for marketing. With all this, you get access to all kinds of trading platforms the broker has come up with in its years or existence. How is Angel Broking when it comes to the payouts? For the first 1-2 months, while you are being set up in the system, there could be a few issues. However, once your details are verified and processed successfully in the system, you can expect regular payouts at a fixed date on a monthly level. Read this review in Hindi as well.